The Platinum Performance/USEF Show Jumping Talent Search Program plays an important role in developing top Jumping riders by encouraging Junior and Young Riders to develop the skills that lay the groundwork for future international successes. It addresses the principal that form follows function and that it is important for a rider to have equitation basics and a solid jumper seat position in order to become an effective jumper rider. The Talent Search program fosters this tradition in U.S. Jumping and builds on preparing the next generation of international jumping riders. The Program consists of qualifying classes held across the country and the annual Finals held each autumn. 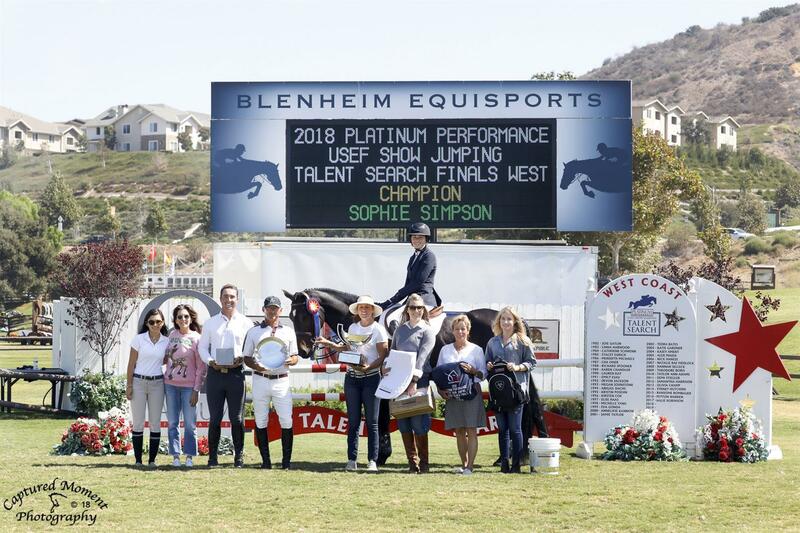 A unique feature of the Talent Search Program, there is a Final held on each coast: the Finals East is held at the USET Foundation Headquarters in Gladstone, NJ and the Finals West is held at the Rancho Mission Viejo Riding Park in San Juan Capistrano, CA. The Platinum Performance/USEF Show Jumping Talent Search Finals attracts the nation’s top Junior and Young Riders and former winners have gone on to great success in international Show Jumping competition. Over the course of multiple phases of competition, culminating in a head-to-head competition among the top entrants, the Finals are carefully orchestrated to test the entrant’s skills in the show jumping arena. Read on for information about the Talent Search Finals and review the Class Rules (EQ 110.9) and qualifying information in the Additional Resources section below. An entry form will be posted to this page by August 1st, 2019. A link to the online entry platform will be posted to this page by August 1st, 2019. The Book LLC will be the official Photographer for the Finals East. An order form can be found here. For inquiries related to the Finals please contact Steven Morrissey at [email protected]. Daisy Farish, 2018 Platinum Performance/USEF Show Jumping Talent Search Finals - East Champion. Show Manager? Contact Mary Kate Crooper, US Equestrian Marketing Sponsor Coordinator, at [email protected] to receive a Platinum Performance/USEF Show Jumping Talent Search banner for your competitions. Questions about the Talent Search Program or Finals? Contact Steven Morrissey, US Equestrian Talent Search Liaison, at [email protected]. 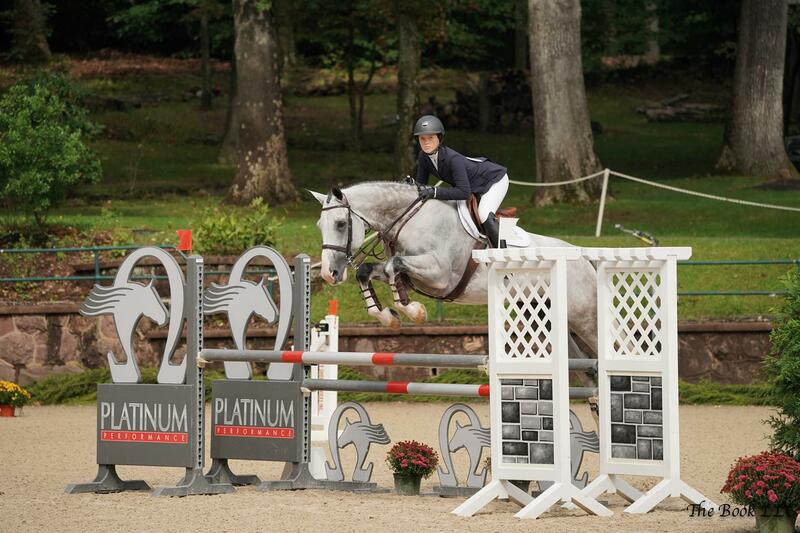 Platinum Performance is the official sponsor of the Platinum Performance/USEF Show Jumping Talent Search Program. Excerpt from the USEF Rule Book, the rules governing the Platinum Performance/USEF Show Jumping Talent Search class. Note that additional rules and specifications for the Finals are published in the annual Talent Search Finals Prize List each year. Platinum Performance/USEF Show Jumping Talent Search classes are held at three levels: 1*, 2* or 3*. These star levels represent the level of difficulty of the class and the points available to be earned differ by level. Order form for East Finals photography. Please submit prior to competition dates. Final results for the 2018 Platinum Performance/USEF Show Jumping Talent Search Finals East.